Wondering where to go in Tanzania? 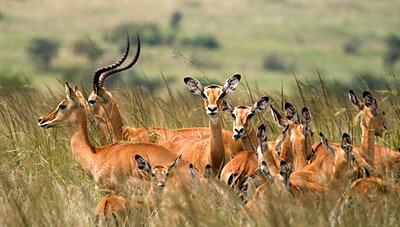 Tanzania Parks and wildlife game reserves covers more than a quarter of the land mass in the country of Tanzania. This has made Tanzania to be renown as the most protected country in terms of wildlife conservation in Africa and indeed in the world. Tanzania National Parks and game reserves are unique and outstanding. That is why Tanzania is often referred to us the land of the Superlatives. 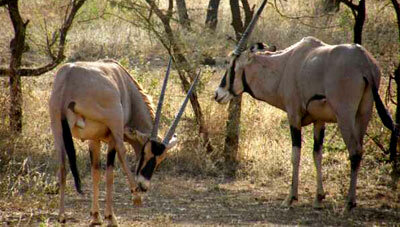 As far as wildlife safaris are concerned; In Tanzania you will be spoiled for choice. Tanzania Parks are run and managed by the Tanzania National Parks Authority (TANAPA) and unlike game reserves, conservation areas like Ngorongoro and game controlled areas like Loliondo, no human habitation is allowed inside the parks. The animals in the parks are guarded by the game rangers that are trained in the wildlife college and then employed by the Authority. The rangers man the parks as well as ensure the rules and regulations of national parks are adhered to. As for game reserves like Selous Game Reserve; which is the largest game reserve in East and Central Africa, they are manned by private entities. The Ngorongoro Conservation Area on the hand; which is a UNESCO world heritage site, is manned the state’s management authority called The Ngorongoro Conservation Area Authority ( NCAA). The difference between the Tanzania parks and Ngorongoro Conservation area is that the latter allows human habitation and is the home of the world renowned nomadic pastoralist tribe called the Maasai. Other than these the other wildlife conservation areas include game controlled areas like Loliondo and private game reserves like the Grumeti and the state owned Maswa Game Reserves. 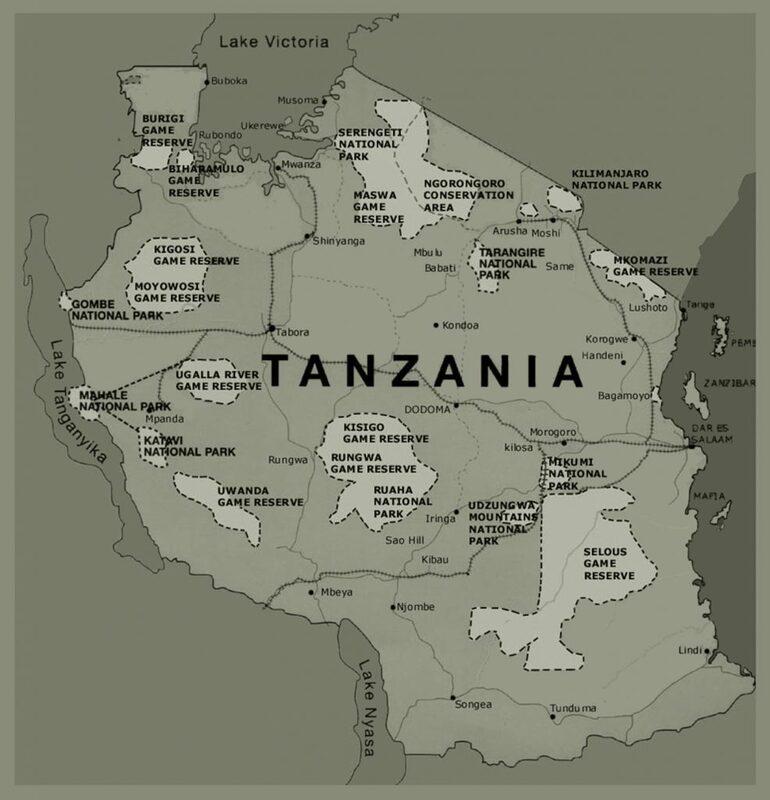 Others are the community based Wildlife Management areas like the Ikoma and the Wami in the south of Tanzania. We plan wildlife safaris all Tanzania Parks, as well as other wildlife areas in the country and the neighboring countries of Kenya, Rwanda and Uganda. 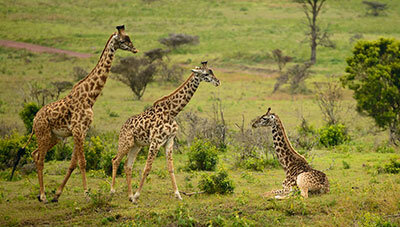 You can Contact one of our safari experts for advise on the best time to visit the different parks in Tanzania. Serengeti National Park is the most famous park in Tanzania, and the home to the Great Wildebeests Migration with over a million and 200 thousand zebras trekking between South Serengeti and Masai Mara in Kenya in search of water and green pastures. Expect to see prides of lions, leopards, cheetahs, and many animals of prey in this park. 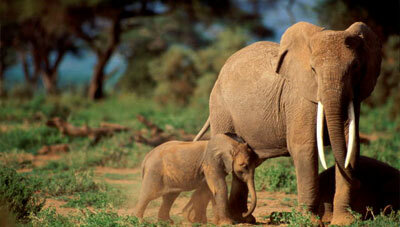 Tarangire National Park is the true home of elephants and a garden of the gigantic age old Baobab Trees. The park is also famous for rare species of animals and birds. The Tarangire river that flows with water is very vital to the parks especially during the dry spells, and it is where where the animals congregate for the valuable sip of water. 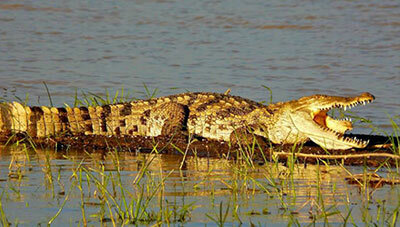 Located in the Southern Tanzania Safari Circuit , Selous Game Reserve is the true wilderness. It is the largest private game Reserve you can find in Africa, with an area bigger than Switzerland. The Rufiji river and the several lakes in the reserve allows boat safaris in this reserve, something that is unique to this reserve, unlike other parks in the north. Also dubbed the Eden of Africa, Ngorongoro Crater is the largest unbroken Caldera in the world and a UNESCO declared World Heritage Site. 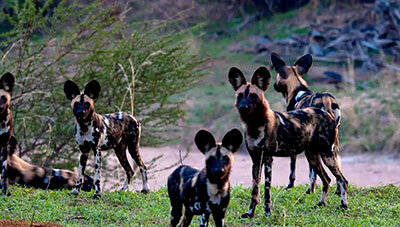 The relatively small area has the highest area to wildlife ratio and you can spot the Big 5 in a single day!. 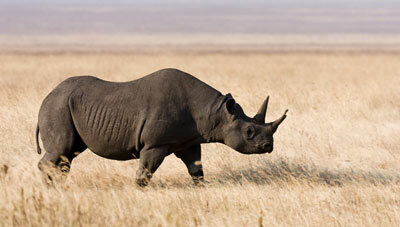 Here you can spot leopards, lions, elephants, buffaloes, and with a little luck even the Black Rhinos. Ruaha is the real definition of the African Wilderness. Here animals are timid and really wild. The Park is in the far flung, less traveled Southern Tanzania Safari Circuit and it is home to largest elephants you can find in Africa. Allow for two or more nights at Ruaha to enjoy tracking the timid animals including the rare African wild dogs and the kudus. Located in the Eastern Circuit Mkomazi National Park was recently elevated to a fully fledged National Park in the Eastern parts of Tanzania. The park borders Tsavo National Park and hence in the same Ecosystem, and it was created for the conservation of some rare species among them; the recently introduced African Wild dogs. Lake Manyara National Park is a little gem on the floor of the Great Rift Valley. This small park has an estimated 330 Square kilometers of which 220 is the water body and the remaining 110 110 kilometers square is the land mass where the animals roam. It is the home of the flamingos but more famous for the legendary tree climbing lions. Mikumi National Park is probably the best park that you can tour from Dar es Salaam if you just have a short time to spare. 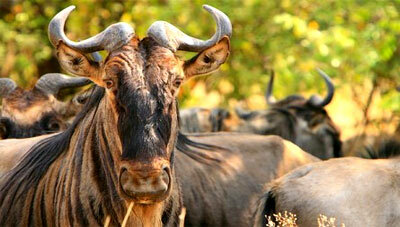 You can do a 2 to 3 days safari in the Mikumi National Park from Dar es Salaam and get a taste of the African Safari. The Park is home to many baboons, Giraffes, zebras, lions, and many more large and small animals. 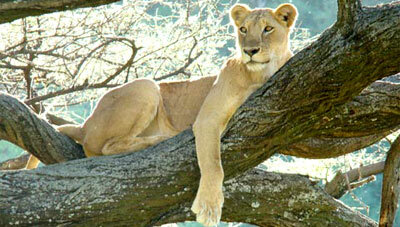 Arusha National Park is another small but extremely beautiful park that is often by passed. A few kilometers from Arusha town , just about 30 minutes drive, Arusha National Park is a great place to start or end your safari in Northern Tanzania. Mount Meru; the second highest mountain in Tanzania is located in this park and walking on the slopes is allowed.